In his recent article for Transactions of the Institute of British Geographers, Ben Anderson explores how emergencies are governed through a logic of response and a politics of delay (Anderson, 2015). Focussing on the inquest into the London bombings of 7 July 2005, Anderson shows how governing an exceptional event utilises response to ensure that sovereign power is maintained, and that a normality of capitalist life is re-established. Furthermore Anderson highlights the inquest’s final recommendations which focussed on ‘delays’ in future emergencies; delays in communication between agencies, and delays in declaring a major incident. Following the recent terrorist attacks in Paris, we have witnessed a logic of response in the immediate actions of the French authorities, the subsequent raids on properties around the capital, and the declaration of a 3-month ‘state of emergency’ by the government. However, it is not this specific response that I will make brief comment on. Instead it is the ‘non-event’ a week later on Saturday 21st November in Brussels, and the pre-emptive response (a necessary contradiction) of the Belgian state to an immanent emergency. After the tragedy in Paris a week earlier, the Belgian government claimed to be in possession of intelligence that suggested that a major incident was immanent in their capital, Brussels. An emergency response was initiated; “public transport restricted, shops shut, shopping malls shuttered, professional football cancelled, concerts called off and music venues, museums, and galleries closed”, and “People were told to avoid rail stations and airports, shopping centres, concerts, and other public events where people congregate” (The Guardian). In addition, military personal were deployed onto the streets, fully clad in camouflage and balaclavas, carrying fully-automatic weapons. However the major difference of this logic of response was that is was not a response. Nothing had happened, or did happen that day. What this ‘pre-emptive response’ shows, in agreement with Anderson, is that the logic of response employed by liberal governments requires a focus on reducing delays in gaining control under exceptional conditions. As such, the case in Belgium this weekend exemplifies this; the delay is reduced to such an extent that it is pre-emptive. Anderson indicates however that there is a “twofold political status” in the focus on delay; firstly it “reflects anxiety about the fragility of government” and secondly it reinforces the belief that any emergency can be exited (Anderson, 2015: 11). By having armed soldiers on the street, and the Mayor advising all cafes and restaurants to be closed by 6pm (The Independent) the suggestion of an anxious government is verified. Additionally a delay, between normality and ‘returning to normality’, rapidly becomes the focus for believing whether an emergency can be exited or not. Indeed the Wall Street Journal commented that in Brussels the “big test will be whether the metro system starts running again Monday morning, when many of the capital’s more than one million inhabitants depend on public transport to get to work” (Wall Street Journal). While the pre-emptive response to an immanent emergency serves to ‘de-exceptionalise’ future emergencies – through a display of logistical control with exceptional measures – such measures must be limited and exited in time to restore normal capitalist flows, i.e. when businesses start trading again. The problem is, what if the immanent threat persists? How long until the delay in returning-to-normal undermines the fragility of liberal governmentality? 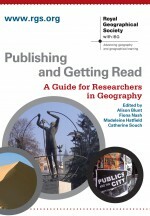 This entry was posted in Transactions of the Institute of British Geographers and tagged Ben Anderson, Brussels, Cultural Geography, Delay, emergency, governance, Paris, Political Geography, Response on November 30, 2015 by EspressoBookworm.